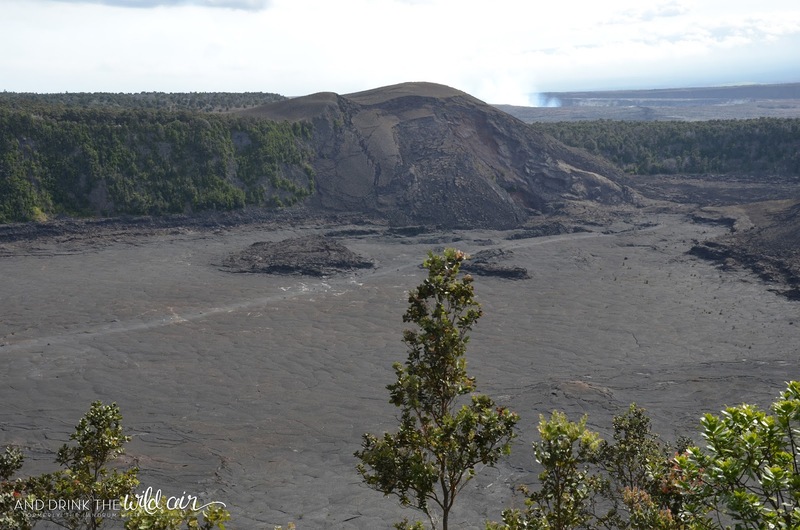 There is no cost to visit this stop other than the park entrance fee. 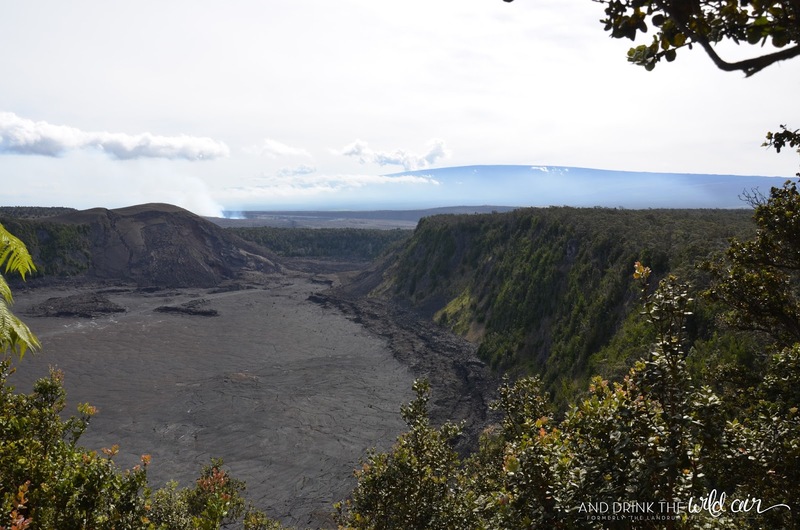 There are no restroom facilities or water fountains located here. This overlook also serves as the trailhead for the Kilauea Iki Hike. Fore more information on this hike, check out the National Park Service's page on it here. This overlook is wheelchair and stroller friendly (the parking lot is right next to the railings so very minimal walking is involved), but the accompanying hike here is definitely not. Keep this parking lot in mind if the Thurston Lava Tube parking lot down the road is full since this lot is a bit bigger! I would plan to spend about 10-15 minutes here soaking up the view. As always, for updated information on closures within the park, be sure to visit this NPS page here. Also keep in mind that any information in these posts is subject to change any time by the National Park Service! 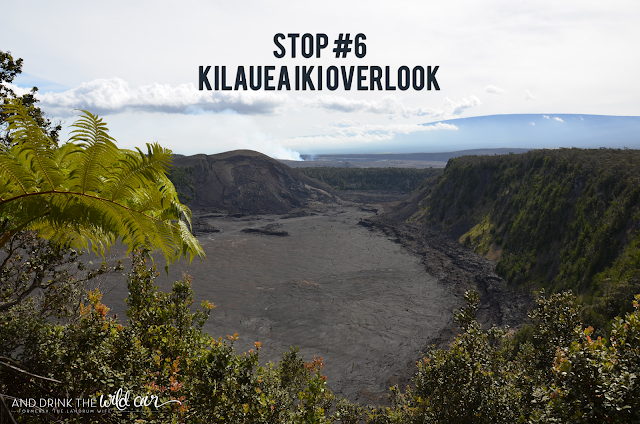 The Kilaeua Iki Overlook (not to be confused with the Kilauea Overlook from earlier!) 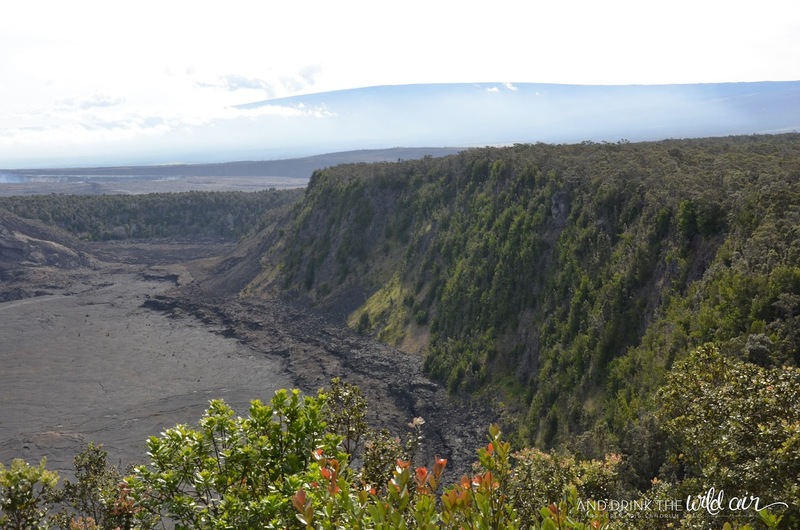 is a fantastic vantage point along Crater Rim Drive that offers sweeping views of the Kilauea Iki Crater. This crater is separate from the Kilauea Crater that you saw from the Volcano House, the Steaming Bluff Overlook, Kilauea Overlook, and the Jaggar Museum. Now, in order to get here from the Jaggar Museum, you just turn around and backtrack along Crater Rim Drive until you get back within sight of the park entrance. 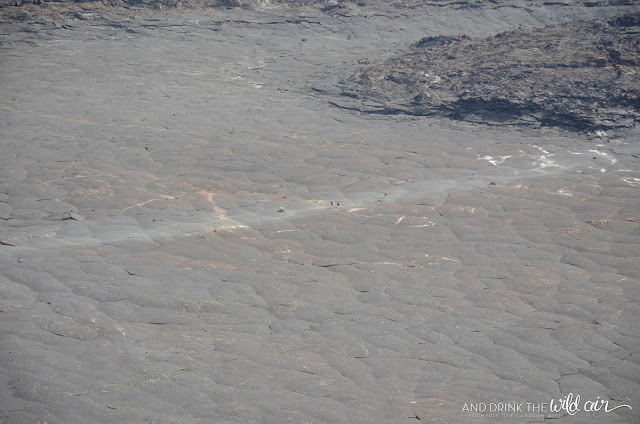 Take the last right you can before you're forced to exit the park and then a left when the road dead ends (after about a half a mile) to get back onto Crater Rim Drive. 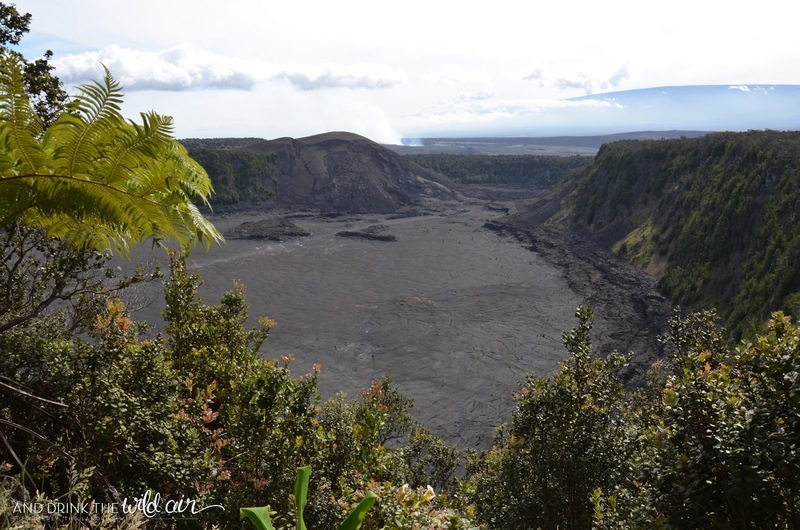 From there, turn right into the next parking lot you see and be prepared for some fantastic views! The Kilauea Iki Crater is a pit crater that had lots of active volcanic activity back in 1959. The entire event lasted 36 days and was quite spectacular. 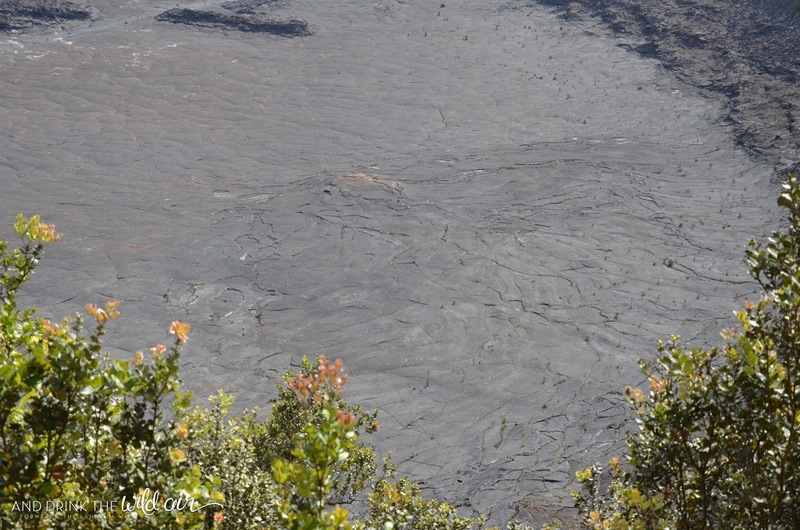 This entire crater was a real live lava lake like Halemaumau is today. The lava was constantly roiling and moving back then, and would constantly spew lava up into the air, AKA lava fountains. 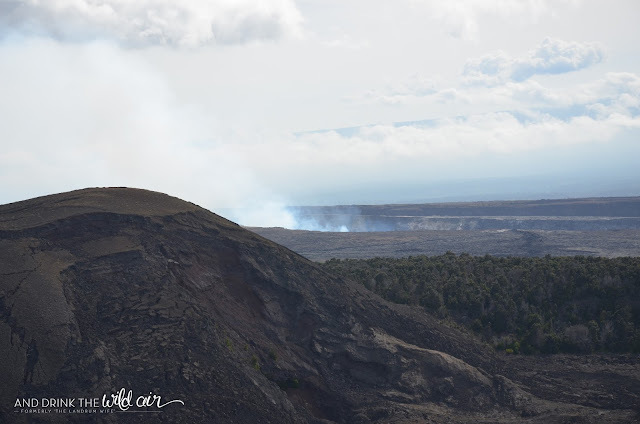 Some of these lava fountains were recorded to have reached around 1,900 feet in the air! 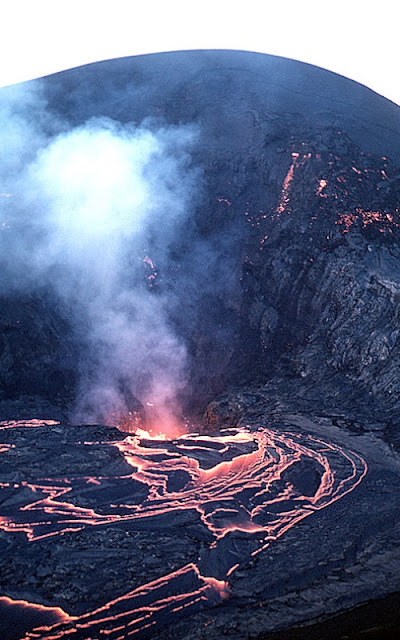 I can't even imagine how amazing and frightening that would have been to experience in person! ...as well as how the lava had shaped the crater floor and all of the hills, cracks, bumps, and ridges that came with it. 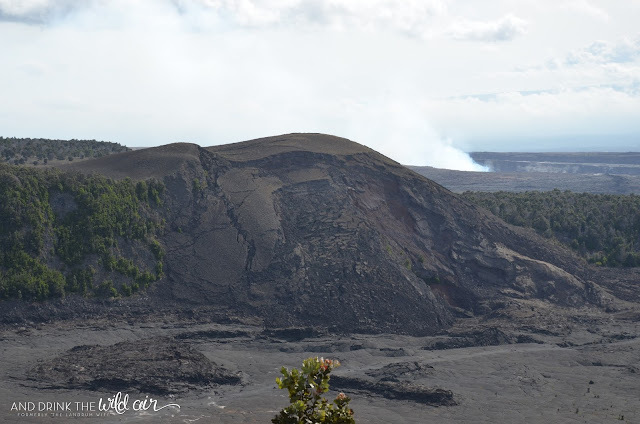 It truly is a testament to the power of Madam Pele and how she shapes the Hawaiian landscape daily here on the Big Island, especially when you realize that this entire area was heavily forested before the Kilauea Iki eruption began. 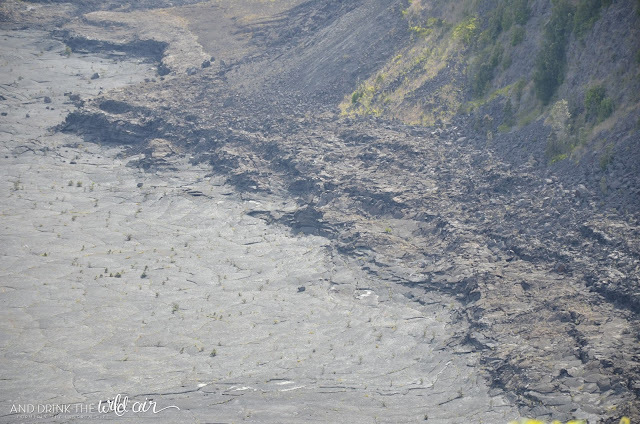 One of the coolest parts of Kilauea Iki in my opinion is the fact that you can actually hike across it! The trail is a loop and about four miles long and I hear it is absolutely stunning. 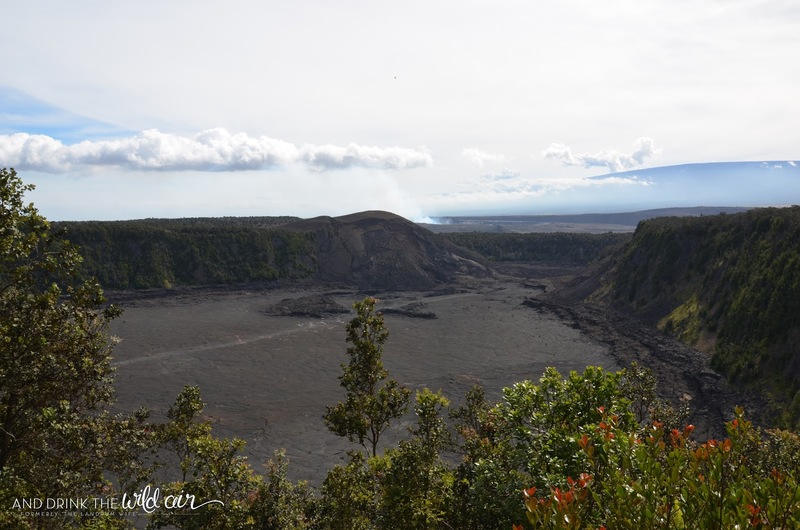 We didn't have time to do it on this trip, but it's already on our bucket lists to head back to Volcanoes National Park one day. Then we'll definitely be tackling it! 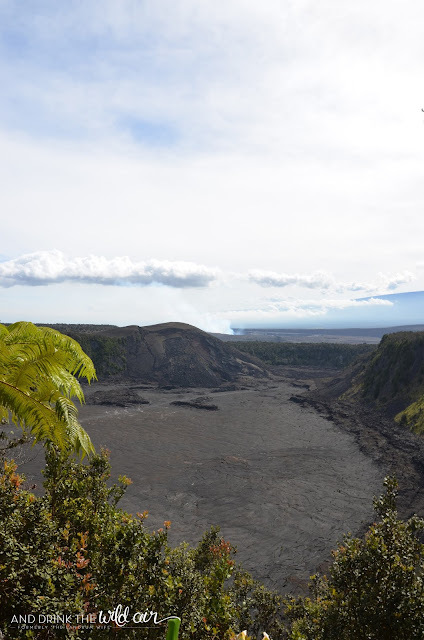 The vistas here at the Kilauea Iki Overlook are otherworldly. 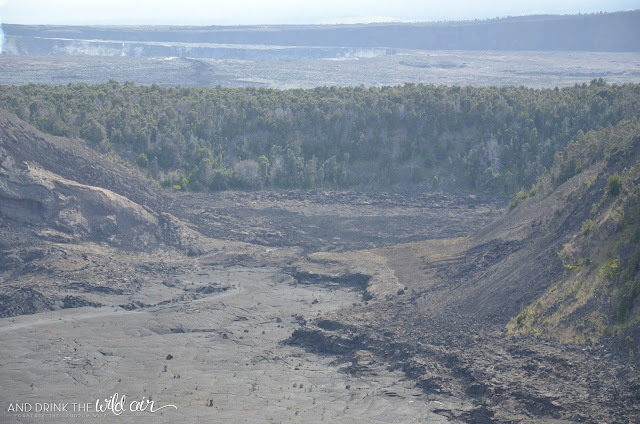 I definitely suggest you make this stop while you're doing your driving tour in Hawaii Volcanoes National Park. Otherwise you'd absolutely regret it! STOP 6: Kilauea Iki Overlook <--- You are here!